How do I find DVDs? (Library Catalog) - Ask Us! This search uses the basic search. 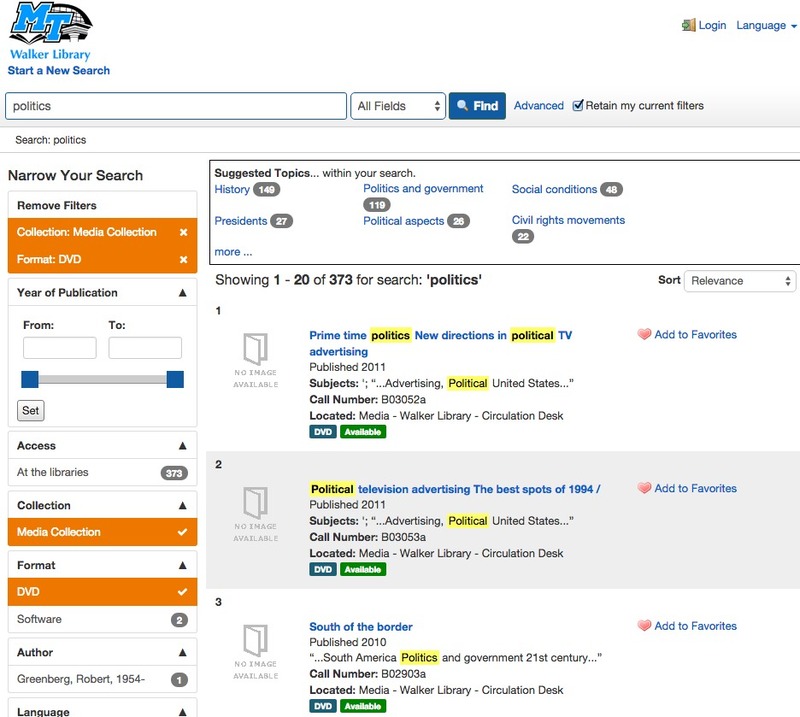 You can use the Library Catalog Basic Search box to locate DVDs in the Library. 1. From the Library Home page, click on CATALOG. 2. Type your search term(s). Click Search. Choose Media Collection from the Collection box and DVD as the Format from the Narrow Your Results column. The results display to the right. You may Sort the results (default is Relevance) to the latest by selecting Date Descending. Note: Students can check out dvds but they have to be viewed in the Library. Does Walker Library have a video library?